Growing a business to the level of thought leadership takes creativity, risk, and persistence in all areas of a company. We often suggest to our clients that to gain buzz, authoritative links and frequent social attention you have to position yourself as a thought leader. From branding to blogging, positioning yourself as a thought leader in your industry won’t happen overnight. Patience is a necessary component of working your way to the top, and hard work creates a foundation for success. Consider these key elements to help you acquire influence in your industry. Businesses capable of success in the twenty-first century need a niche – a unique corner on a specific market to make your business as specialized as possible. Discovering this area often requires thinking outside the box, testing boundaries, and exploring uncharted territory. The unknowns slowly become more tangible as your business approach begins transforming. Become a knowledgeable educator in your field by conducting extensive research and studying necessary materials to help you explain to future customers why your product outranks the competition. Review the fine print, understand the product’s complexities, and stay up to date with developments throughout the industry. By displaying a personal investment, people will gain respect for your opinion about the industry and take your advice about products. Young businesses should gear their efforts toward thought leadership starting in the beginning stages of business development. When becoming a though leader is the ultimate goal, businesses can reorganize to aim their trajectory in the right direction. Older businesses can still revamp their approach to pursue thought leadership. Sometimes, older generations struggle to understand the intricacies of modern technology and online business, but with proper education, all business owners can begin reforming their business approach to lead them to a higher position of influence. Whether it’s a startup or long-standing establishment, planning is the key for gaining more leadership in any industry. Branding heavily influences how outsiders interpret your business. Lack of branding leaves the consumer disinterested, while strategic branding entices the crowd. Learning to distinguish your brand from competitors takes time and energy. However, branding plays a key role in first impressions. A brand should immediately spark interest in a potential customer. Your story, message, and product should be easily identifiable so customers can quickly become familiar with what sets you apart from other companies. Be clear, to the point, and don’t add fluff. The energy of your company should be tangible with a single glance. Identify businesses and individuals who have inspired your personal journey, and start making connections. 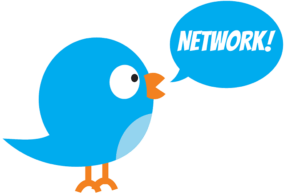 Platforms like Twitter make this type of networking almost effortless in business today. Start communicating and continue watching their movement in the industry. Inspiration is crucial for thought leaders. Keep your vision on track by observing how other experts continue to influence consumers and competitors alike. When you’re networking look for opportunities to help out and give back. The important aspect here? Expect nothing in return. When you’re networking everyone will know why you’re doing it, it’s why they did it and continue to do it. If you want to separate yourself apart from the rest, look for ways to help out. 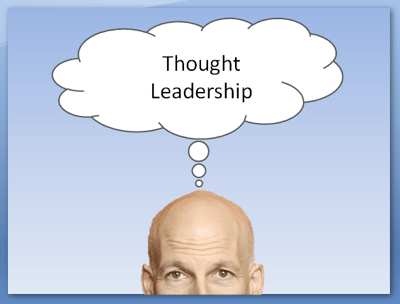 After watching other thought leaders, begin practicing the methods you observe in their work. By emulating the success of others, you will soon reap the rewards. However be careful you don’t do exactly everything everyone else is doing. You are building your brand after all. And if you’re just an exact copy of someone else you won’t really have anything that makes you stand out. Blogging is one of the most basic proven ways to build a company’s status toward thought leadership. After finding a niche and becoming an expert, start showing off your knowledge in a public way. Blogging continues to create influence for businesses, but gaining a loyal following requires consistency, fresh content and relevant information for the industry. Businesses who work to maintain these standards experience widespread benefits. Business owners struggling to make connections with other influencers should begin creating a stronger voice in their field through blogging. It increases SEO rankings, provides a safe area for conversation, and helps permeate the industry with your name. The process of becoming a thought leader in your industry can’t truly be achieved with a one-off approach to the above. It truly takes a concerted effort to being a leader in your space. However, this process also helps you to understand your position in the market, defining who you are, who you need to be as well as who you need to partner with to get there.